Aviation news headline search and aggregation service. Simple, Short quotations and links from Aviation News you can Use. The Headlines on this page are intended to drive traffic and awareness to the originating source, advance general aviation knowledge, awareness and enhance the progression of the industry through headline reporting, teaching, research and the addition of something new to your aviation life. We've all been there. We're overwhelmed by information and it's hard to find new sources for content. The "Headline News" service makes it easy by consolidating information and providing you with simple headlines and direct links to the original stories. The "Headline News" service consists mainly of links to stories from mainstream media about aviation, airports, aerospace, general aviation, space and current events. The service also links to many aviation columnists and professional blogs. The headlines are intended to drive traffic and awareness to the originating source and the enrichment of the general aviation public. Sources cited and linked run the gamut of the aviation industry. Avjobs.com takes specific steps to comply with content control initiatives in place at various news outlets. Posting of the headlines is intended to increase exposure of the original source. The short quotations are intended to be transformative fair use, not copyright infringement, for purposes such as criticism, comment, headlines reporting, teaching, scholarship, or research. This information should be considered and is presented as an exercise in the fair use right to quote. The headline content comes from our custom web crawler, the same way content is aggregated in the indexes of search engines. Avjobs does not display articles. We display headlines and provide direct links to the original stories. Avjobs is eager to work with publishers in a way that benefits everyone – most importantly, connecting additional readers with original publishers. Headline Services are provided free of charge. Avjobs "Headline News" feature is an external link to many other websites and automated news feeds. 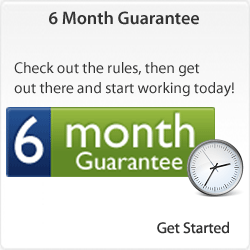 Avjobs.com has no control over duplication of stories, the news content, grammar, or punctuation displayed on these automated external links. You can contact the other websites and automated news feeds concerning those issues. 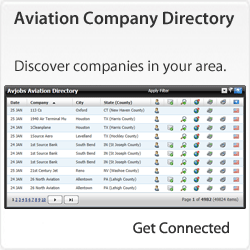 Avjobs.com contains links to over 30,000 external Internet links to various aviation companies and news entities. Avjobs.com provides these links for its readers as a convenience and for informational purposes only. These external links do not constitute an endorsement or an approval by Avjobs.com. Avjobs.com bears no responsibility for the accuracy, legality or content of external links or for that of subsequent links. Please contact the external site for answers to questions regarding its content. 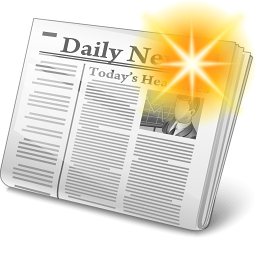 Your support via advertising job and applicant availability with Avjobs.com allows "Headline News" to remain free and on the Internet. Thank you! 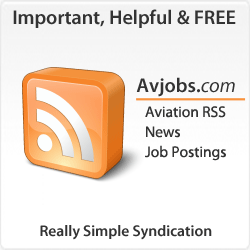 Avjobs.com is committed to indexing quality aviation-friendly Internet sites and to assisting visitors in navigating these sites, free of charge as a part of the "Headline News" service. 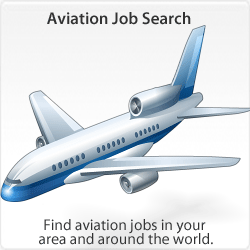 As Avjobs.com is an aviation-specific site, if you find objectionable content on any external link, advertisement, job posting, or applicant resume please contact us. NOTE: Avjobs.com is both copyright and trademark protected. Any use, including the reproduction, modification, distribution, transmission, republication, display, or performance, of the content on this site is strictly prohibited. Have a great idea for how to improve the service? You can contact us directly by emailing supp...@avjobs.com. We get lots of feature requests and we're working on implementing many of them in upcoming versions of the service.